Cannabis oils – what are they? Simply put, cannabis oils are extracts from cannabis plants that contain cannabinoids. Now you may have heard of different names for cannabis oils, including THC oil and CBD oil. 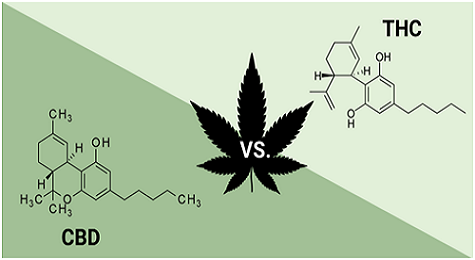 While both fall under the umbrella term ‘cannabis oil’, there are striking differences. Cannabidiol, or CBD is one of the two main molecules found in cannabis; the other is tetrahydrocannabudiol, or THC. While THC is known for its psychoactive properties, CBD is the non-psychoactive cannabinoid found in cannabis that delivers users the health benefits of cannabis without the high. So the distinguishing factor between CBD and THC oil: CBD oil is derived from high-CBD, low-THC cannabis flowersand contains concentrated CBD whereas THC oil contains far greater levels of THC. How long do the effects of cannabis oil last? In comparison to inhaled or ingested cannabis, cannabis oils have a gradual onset, taking between 30 minutes to 2 hours and a longer lasting effect of up to 6 hours or more. What are its therapeutic properties? Research is still emerging on the medical benefits of cannabis and cannabis oil. To conduct cannabis research in Canada under the Cannabis Act, authorization is required and can be obtained by applying for a federal license from the Cannabis Legalization and Regulation Branch of Health Canada. Sponsors seeking to conduct clinical trials with cannabis using either human or animal subjects, must also receive authorization under the Food and Drugs Act. Authorization for such purposes can be obtained by filing a Clinical Trial Application (CTA) to Health Canada or receiving an Experimental Study Certificate for certain veterinary research purposes. It is also noteworthy that the requirements of Division 5 of the Food and Drug Regulations continue to apply for all drugs for human use, including those containing cannabis. Finally, a Section 56 exemption must be obtained to legally possess cannabis for research purposes – the same exemption required to possess other Schedule I substances for scientific research. Just like cannabis, CBD is strictly regulated by Health Canada. All varieties of cannabis, including CBD are regulated under the definition of cannabis under the Cannabis Act.This means that only licensed producers may produce CBD oil and only licensed retailers may sell the product. So, if you’re looking to purchase CBD products, including CBD oil, remember, it can only be bought from legal recreational cannabis stores and websites across the country or by receiving a doctor’s authorization and buying directly from a Licensed Producer.